British swimmers bagged an impressive 25 medals on day two of the LEN European Masters Swimming Championships 2018. Eleven golds were won in total in Slovenia, with five of them coming in the Women’s 200m Freestyle races. Jane Asher, of Kings Cormorants SC, got the day off to the perfect start for Great Britain as she won the gold medal in the 85-90 age group in a time of 3:33.86. In the 70-74 age group, Alison Gwynn clocked 3:02.94 to win the gold. It was a close race with only 2.87 seconds between the top three. The next race to bring home a gold was the 60-64 age group. Joan Edwards, of Gateshead and Wickenham, won her second medal of the meet with her podium topping time of 2:34.70. She was joined on the podium by Gloucester Masters Swimming Club’s Jayne Ball, who came third after clocking 2:46.87. They were separated by Holland’s Atie Pijtak-Radersma, who touched home in 2:37.61. Another British first-third occurred in the 45-49 age group where Nicola Latty, from Holywell Swimming Club, finished in 2:20.76, while Janet McLean recorded a time of 2:23.53 to take the bronze. Spain’s Cinta Vilanova Belmonte came second with a time of 2:22.03. The final British gold medal of the event was won by Saxon Crown Lewisham Swimming Club’s Lauren Willcox in the 30-34 age group. She clocked 2:09.74 to finish 3.31 seconds clear of the rest of the field. 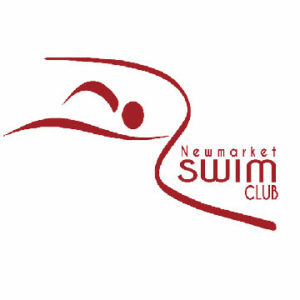 In the 35-39 age group, Emma Wills, of York City Baths Club, secured a silver, finishing an agonising 0.42 behind the leader with a time of 2:17.00. Camp Hill Edwardians Swimming Club member Jenny Ball finished in third place in the 80-84 age group. She clocked 4:01.37 to finish 27.73 behind gold medallist Helga Reich, of Germany. 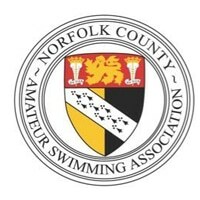 Ceri Edwards, of Portsmouth Northsea Swimming Club, finished in third place in the 40-45 age group in a time of 2:18.12, 2.05 seconds adrift of Germany’s Annett Von Rekowski who topped the podium. 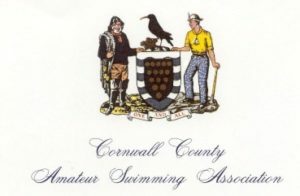 Colin Stephenson, of Gloucester Masters Swimming Club, triumphed in the 60-64 age group. His time of 2:20.54 was 1.12 seconds ahead of silver medallist, Massimo Tubino of Italy. In the 55-59 age group, Mark Reynolds, of Barnet Copthall Swimming Club, had to settle for a silver medal with his time of 2:08.75. He was 2.42 seconds behind the champion, Turkey’s Ahmet Nakkas who finished in 2:06.33. British swimmers claimed two golds and two silvers across the age groups in the Women’s 50m Breaststroke. 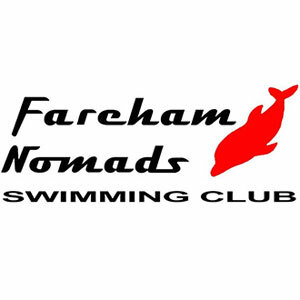 Diane Ford, of Spencer Swim Team, triumphed in the 75-79 years race, finishing in a time of 47.12 – 4.25 seconds ahead of the rest of the field and only 0.43 off the European record. Delyth Cunnah, of Dundee City Aquatics, was the other gold medallist, winning the 50-54 age group in 37.85. In the 55-59 age group, Albena Collins, of Lerwick ASC, had to settle for second place after finishing in a time of 39.23. She was 1.52 seconds behind Denmark’s Pia Thulstrup who won gold in 37.71. And Muriel Hitchcock was a bronze medallist in the 80-84 age group after touching home in 59.37. Aimee Ramm put on a strong swim in the final 50m to ensure she won gold in the 35-39 age group. The GB Police swimmer was third at the turn but touched home first in 1:08.10 to top the podium – only 0.37 seconds ahead of Poland’s Anna Duda. Janet McLean, of Carnegie Swimming Club, was also victorious in the 45-49 years race. Her time of 1:11.74 sealed the gold medal from Austria’s Petra Lang (1:12.35) and she was joined on the rostrum by Dundee City Aquatics’ Jane Grant who took the bronze in 1:15.93. In the 55-59 age group, Debbie Matless, of East Anglian Swallow Tails, was pipped at the post to the gold medal. Matless produced the fastest second 50m time of the race (41.70) but she touched home 0.17 seconds behind the gold medallist – Holland’s Marjan Remmits – in 1:20.29. Sally Mills also won a silver in the 60-64 age group. The Mid Sussex Marlins swimmer finished in 1:23.48 to take second spot behind Belgium’s Colette Crabbe (1:17.60). Alec Johnson won the final gold medal of the day for Great Britain in the 55-59 age group. The Trafford Metro Borough Swimming Club member finished in 1:05.81 to win by 0.88 seconds from France’s Tito Morales. And Steven Folsom, of Teddington Swim Club, was a bronze medallist in a thrilling 65-69 age group race. He recorded a time of 1:13.63, only 0.63 behind the silver medallist, Belgium’s Jean-Marie Cadiat (1:13.00). Sweden’s Leonard Bielicz was the gold medal winner in 1:12.92.